Jorge Sampaoli begged for forgiveness from Argentina's fans on Thursday after a 3-0 drubbing by Croatia left Lionel Messi's World Cup dreams hanging by a thread. Second-half goals from Ante Rebic -- the first from a horrendous error by Argentina goalkeeper Willy Caballero -- Luka Modric and Ivan Rakitic sealed a deserved victory for the European side and ensured their passage into the last 16. 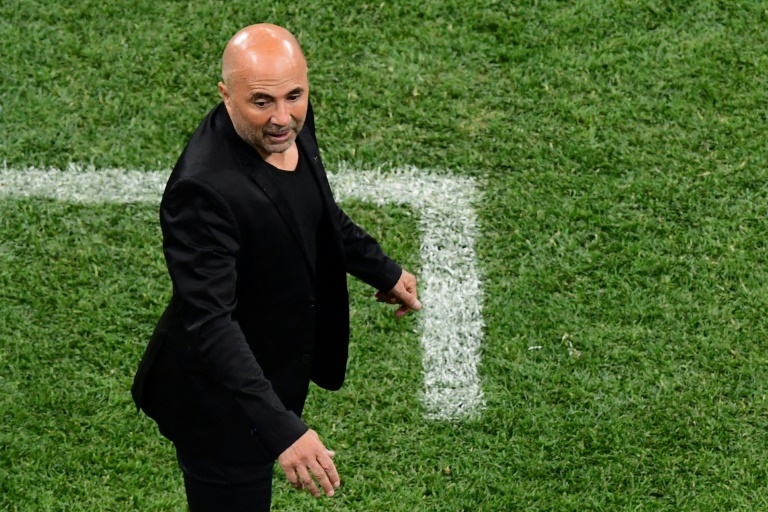 A contrite Sampaoli said the rout was his fault entirely and apologised to supporters left in tears in the Nizhny Novgorod stadium on the banks of the River Volga. "First and foremost, I would beg for their forgiveness, especially those who came great distances to see Argentina," said the softly spoken Sampaoli. "I am responsible for this result but I was as dreamy-eyed as the fans." The Group D defeat means Argentina, one of the pre-tournament favourites and defeated finalists in 2014, are on the brink of a humiliating first-round exit. They have just one point from two games and will certainly have to beat Nigeria in their final outing to have any chance of avoiding elimination. 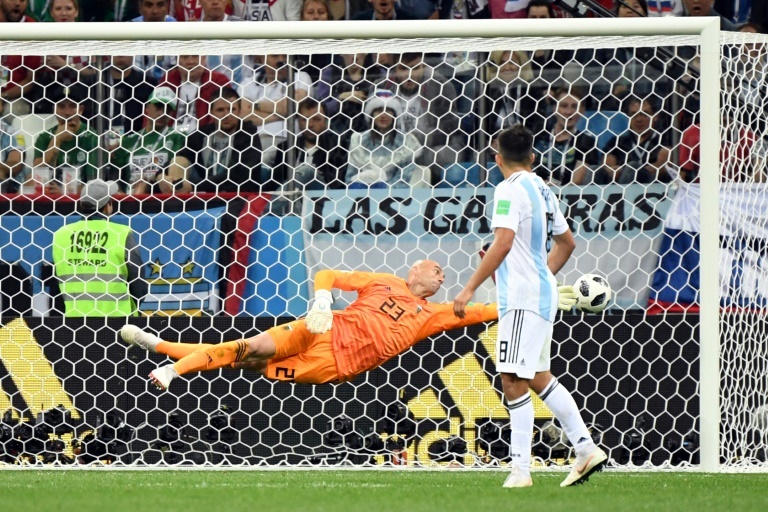 But for Argentina -- and Messi -- the recriminations over such a poor performance began within seconds of the final whistle. "I had to devise a plan for this match," said Sampaoli. If I had set things up differently, things might have turned out much better. I don't think it's realistic to put the burden on Caballero." He added that his under-pressure team, knowing they needed a positive result from the game, crumbled after conceding the first goal. "After they scored we were emotionally broken and we didn't have any footballing arguments to change the course of events." He said his team did not "gel" and plans to feed Messi with more of the ball failed. Asked why he made three changes to his team and played a 3-4-3 system, Sampaoli said he thought this was the best way to put pressure on Croatia. But admitted he had got it wrong. Croatia took the lead after Caballero chipped a clearance straight to Rebic, who lashed home a thunderous volley in the 53rd minute. Real Madrid star Modric then scored an electrifying 80th-minute goal before Messi's Barcelona team-mate Rakitic netted a third after Croatia sliced apart Argentina's hapless defence in injury time. The defeat leaves Argentina facing a repeat of their ignominious 2002 campaign, when they also went out at the group stage after being tipped as possible World Cup winners. 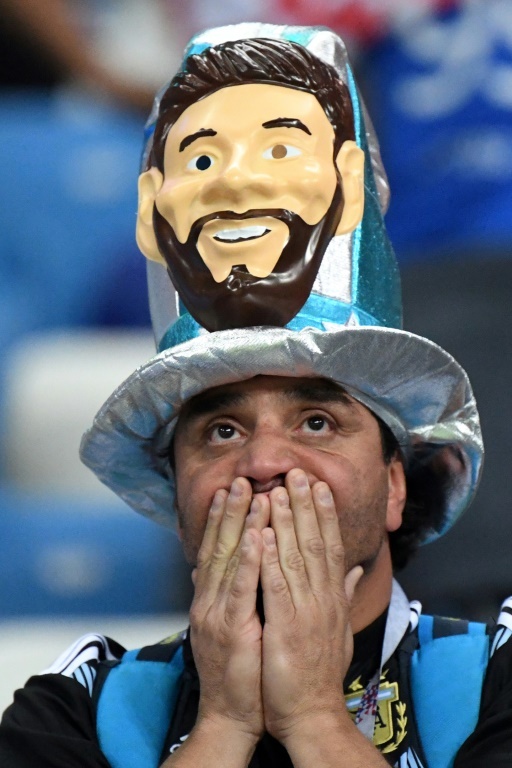 The South Americans were curiously lifeless and uninspired throughout, capped by an anonymous display by Messi. He remained a peripheral and largely ponderous figure, briefly flashing to life and the 30-year-old's dream of winning the World Cup now look remote. All the attention after the humbling defeat will focus on Argentina and Messi but it was also the result of a fine performance by Croatia. Coach Zlatko Dalic admitted he was surprised to be through after just two games but warned Croatian fans not to get carried away, despite arguably the performance of the tournament. "We have to make sure we do not go over the top. We have to be calm and humble, all of us." But in another piece of bad news for Argentina he said he would definitely rest players in the last game against Iceland, which the South Americans will likely need Croatia to win. Man-of-the match Luka Modric said teamwork was the key to the impressive victory. "In the first half when Argentina had the ball we cut off Messi and stopped him getting the ball."